Best of luck with your project! Keep us posted. It's a very very nice! Should make an awesome cafe'. Post more pics with progress please. 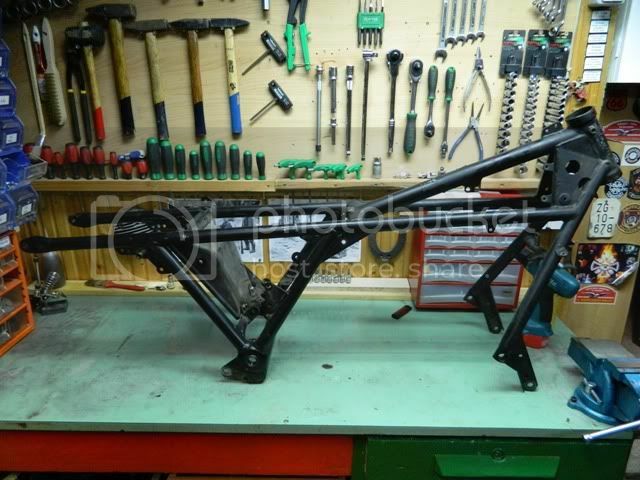 Everything is removed, frame is ready for sandblasting. 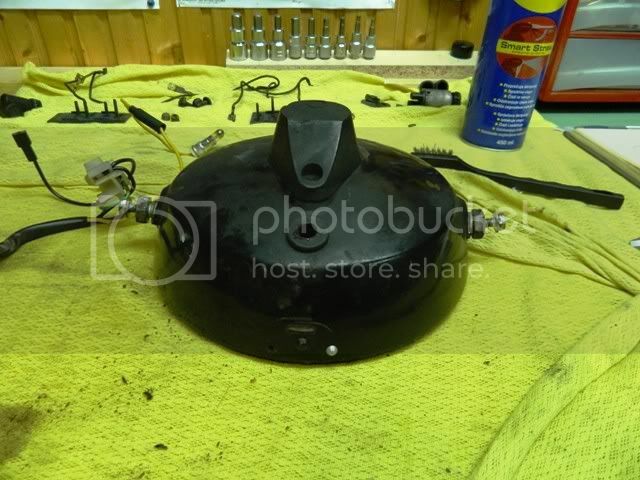 In the meanwhile, I'm dealing with cleaning and refurbishing small parts, like, headlamp, coil holder...etc. 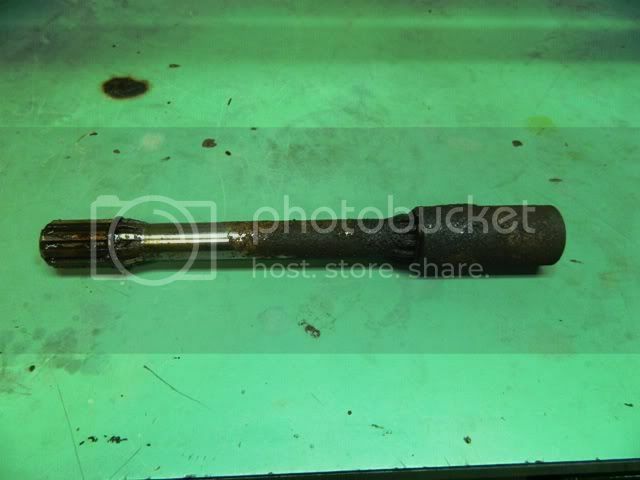 Now...my worry is drive shaft; it has some rust on surface...I will try to remove the rust, teeths are ok, just surface rust. If not, I will buy a new one. If it will be helpful, I can send you a CD with all of the factory manuals (Workshop, Parts, Owner's, etc). 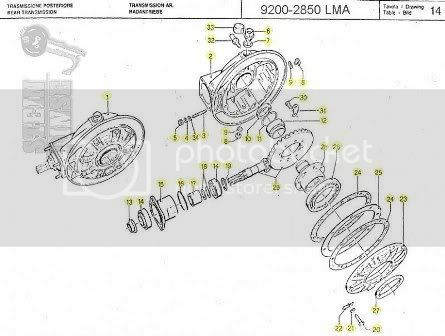 The CD also has many other useful things for your project: wiring diagrams (for your friend who likes wires), engine assembly procedures, transmission rebuild, carburetor manuals. It also has copies of the Le Mans IV brochures, advertisements and parts catalogs from Moto Guzzi spares suppliers. Send me a PM with your mailing address and I will send you the CD. Free of charge. 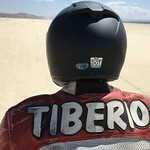 By the way, very nice bike and the basis of a great project. I have a 1986 Le Mans IV myself since it was new. Is this ready for change? It's history. Sorry about the bad news. Thank you for answer. 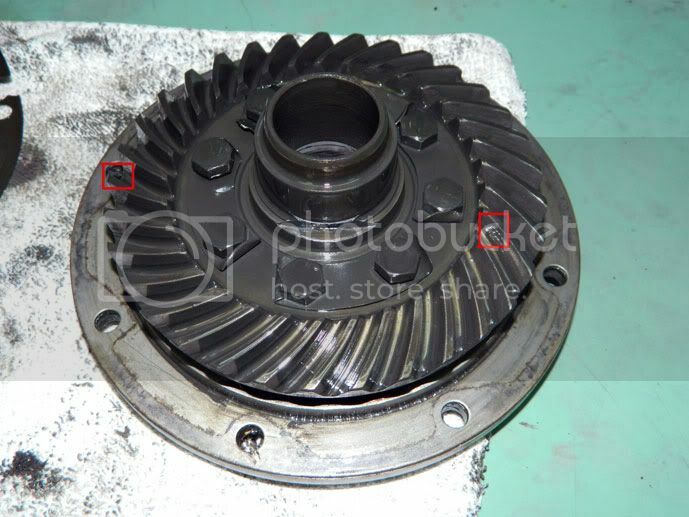 Now, there is no alternative but to obtain a new crownwheel/pinion set. 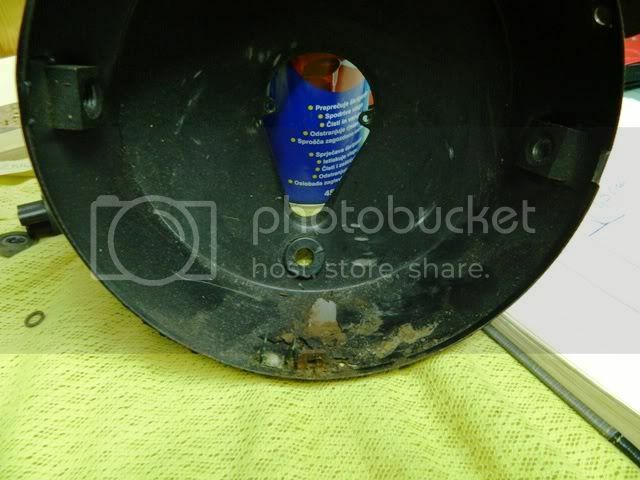 I have taken the bolts on plate in wich is the oil seal, but now I don't know how to remove this plate. Is there some trick how to take this plate down (number 23 on picture), without braking something? In my humble opinion those splines are still in very good shape. 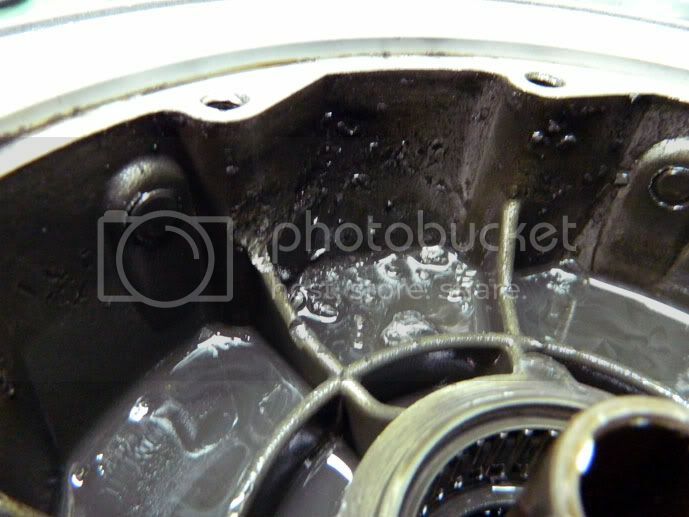 There are no shiny wear marks anywhere and the tooth profile on the splines is like new. As a test, fit the connecting sleeve back over them and feel for play by wiggling it back and forth. I'm confident that there will be virtually no play. You can then perform the same test on the gearbox output splines and I don't think you'll see much wear there either. If there is any wear it is likely to be on the connecting sleeve. 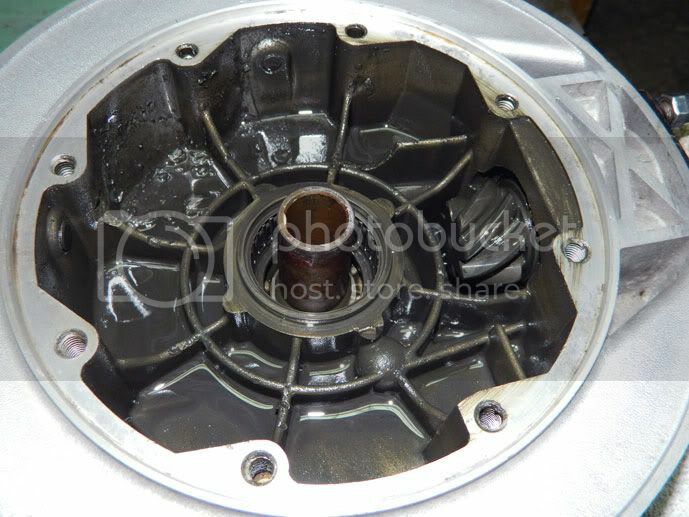 I think you should just replace the big main oil seal and keep on using the final drive without stripping it further. Don't mess with something that isn't broken. 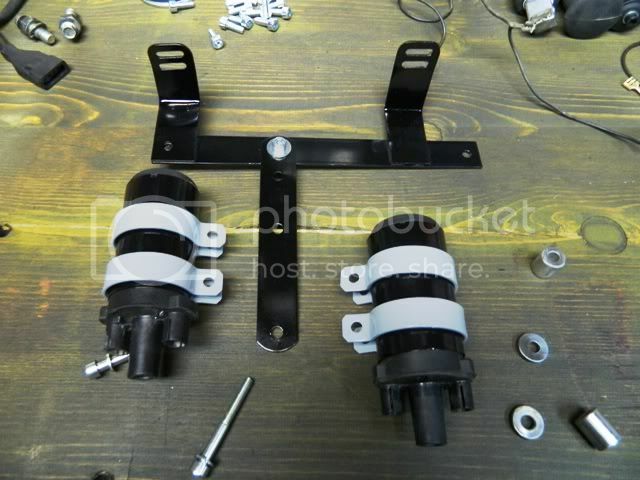 Many Tonti-framed Guzzis have done a lot more mileage than yours without the need to replace the final drive pinion shaft. Guzzi riders represent the ragged fringe of motorcycling! The plate (no23) was a bugger to remove in my case! I had to strip mine apart because something had tried to escape from the drive box and made a small hole in the side which leaked oil. 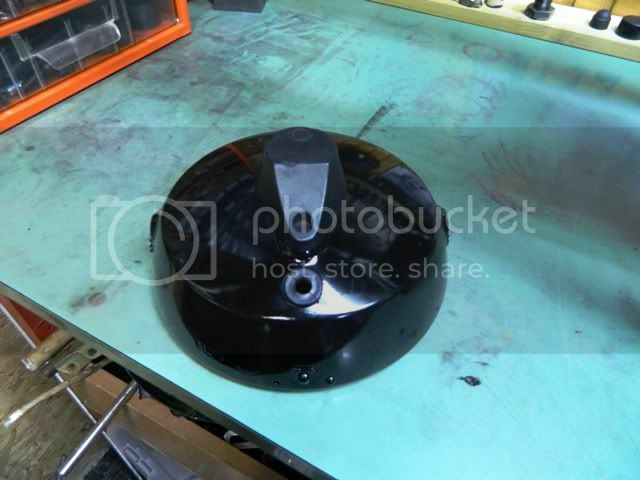 It turned out to be one of the crown wheel bolts which had loosened and come off, then later got flung at the inside of the casing repeatedly until it made a hole. Anyway my cover plate seemed to be glued on, or at least had some kind of mastic or something which made it a real bugger to remove! 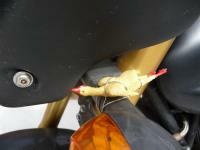 Apparently this is not uncommon on mid eighties bikes, according to someone from Motomecca in the UK. Try heating the perimeter to loosen whatever is sticking it and striking the flanges with a wooden mallet or soft hammer. I ended up damaging the sides of the cover (when trying to prise it off with a big screwdriver) in getting it off but made repairs with chemical metal before reassembly. There may be better ways, and I hope there are, but that worked for me but not in a way that seems correct- I shouldn't have to damage something to get it apart! Don't forget to replace all the crown wheel bolts when you get in there. The splines on your photo don't look too bad, I've seen worse. Has there been a problem while you were riding the bike? 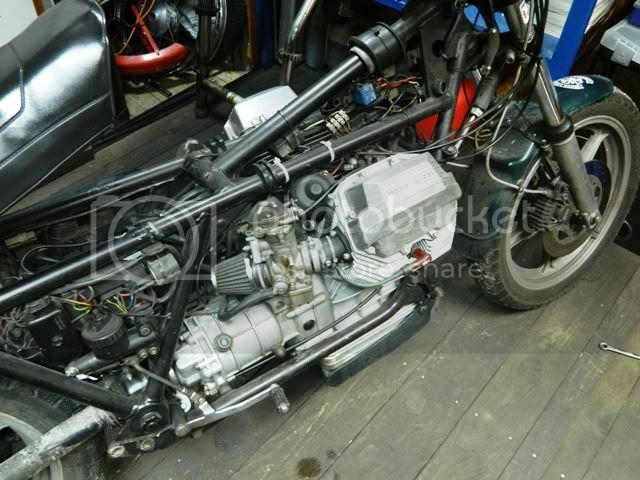 A good European source of Guzzi parts at reasonable price is Reboot (email; rebootguzzispares@hotmail.co.uk) they are a UK business based in France. 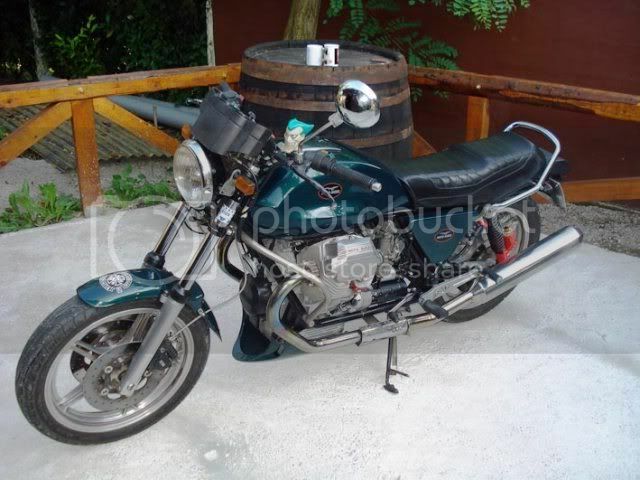 They break a lot of Guzzi's old & new & are also really helpful & reasonably priced. Take another look at picture 2. There's not much left of the splines. That's what normally trashes the rear drive. It costs quite a bit more for a crown wheel and pinion than a used servicable rear drive can be bought for. If the insides are knackered you have no choice but to replace everything. In my humble opinion those splines are still in very good shape. Screws that hold the crownwheel were completely free, I unscrew them with my hand..one has broken sometime, but not while I am the owner, so the case hase some damage. 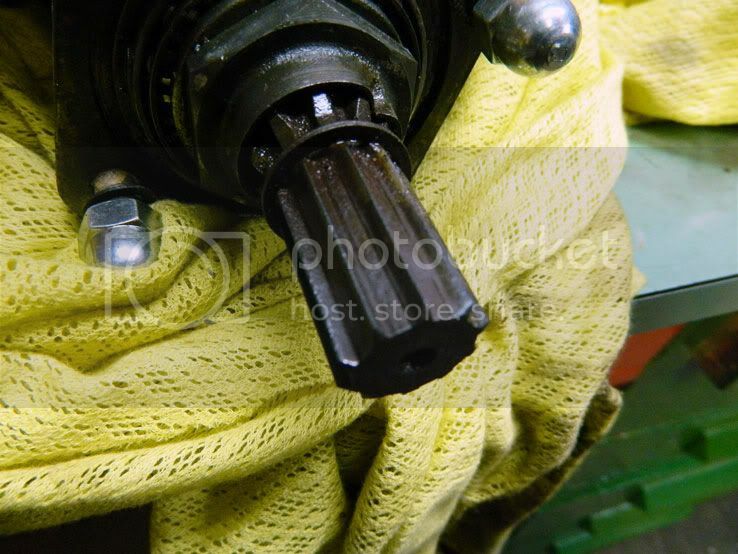 Check the threads in the part which the crown wheel bolts to because when the threads were partially stripped in the hole where the bolt had come out of (the one which rattled around and tried to get out, leaving a patina of marks very similar to those in your photo). Not only that, a couple of others which were merely loose also had weak threads which could not take the torque of re tightening. I eventually had the whole lot helicoiled. The high tensile bolts are expensive and I don't want you to damage them by trying to tighten them into damaged threads and then have to go and buy a load more as I did. 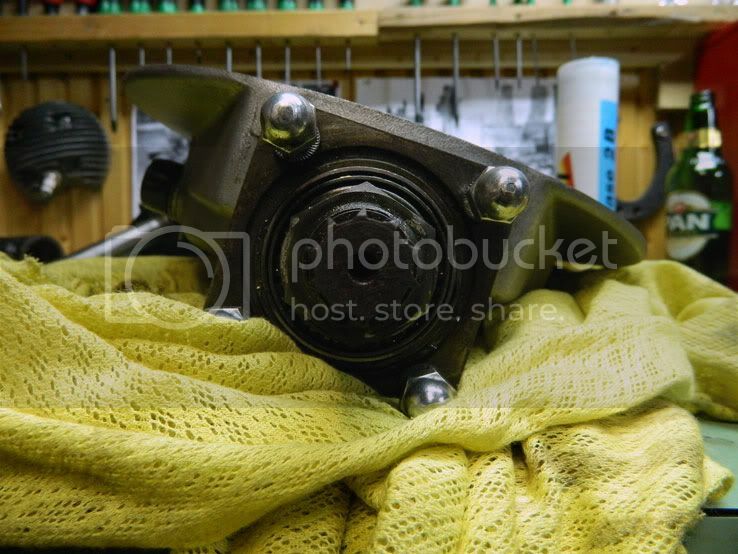 You said that some of the bolts were only hand tight? 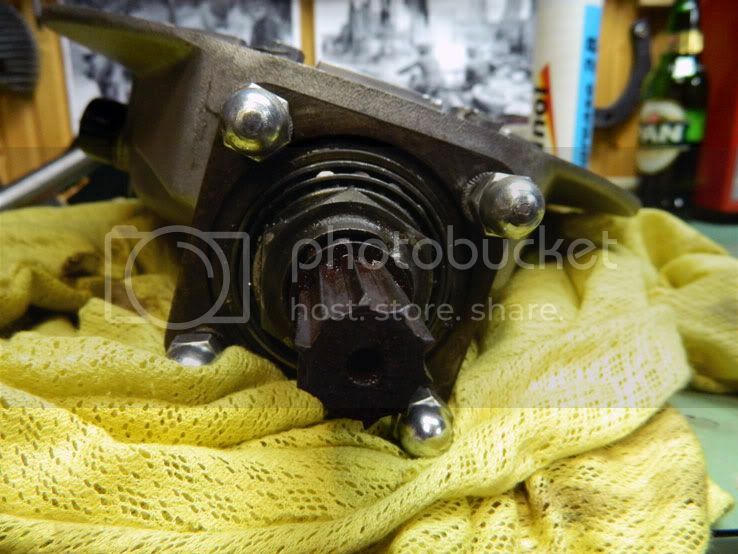 Check those ones particularly, run a cheap bolt into it and see if it comes back out in perfect condition before you try one of the expensive ones. Splines are surely close to worn out and crown wheel knackered,- new drive needed. 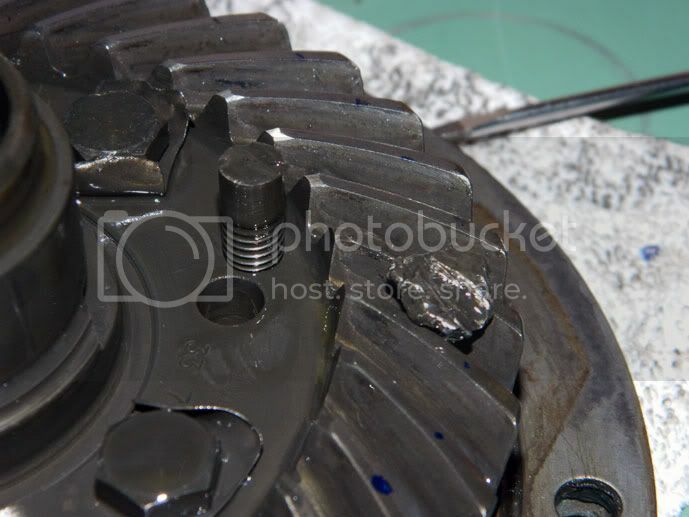 When I bought my LM3 , imported from Italy with only 24000 km on the clock, I found fragments of a broken crown wheel tooth in the rear drive,- big lump actually. Glad I found it in time. 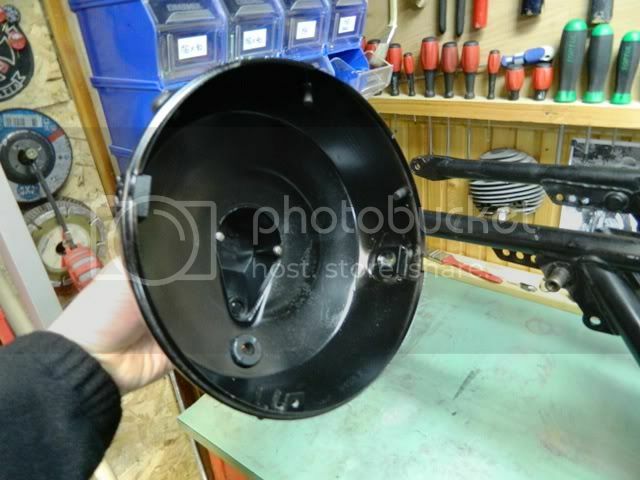 I just want to warn you about buying a new drive from Stein Dinse in Germany.They are not original Guzzi drives, and there are reports from people saying they can`t be shimmed up properly. Better find a used original one in good condition. 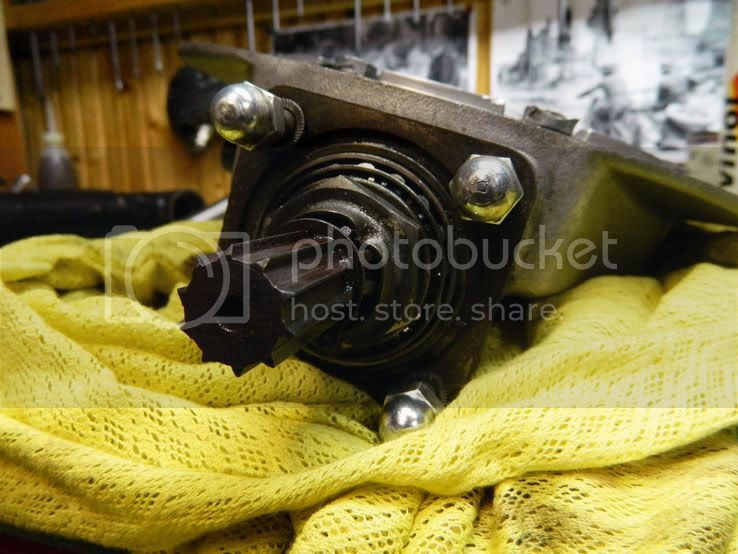 I do have a perfectly nice original 7/33 drive (crown wheel- and pinion drive correctly shimmed in its housing) on my shelf, which I believe I can do without.- If you should be interested. And believe me,- I am not a business man. 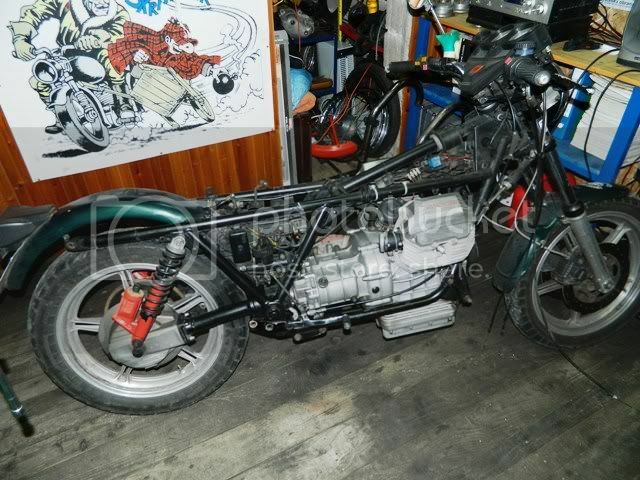 I just like to drive my Guzzi and keep it going,- and I like the bike you`re working on. I can send you pictures of course,- if wanted. Cheers and good luck with the project anyway. Yeah you are absolutely right its dead. Sorry I couldn't see it on the first pics. If you don't get sorted with kidneb, drop Reboot a line they are currently breaking two LM1000's. 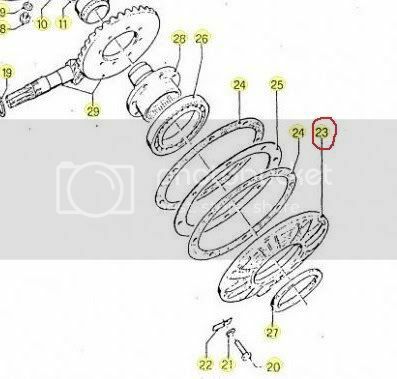 Also pay attention to the fact that Moto Guzzi now prescribes schnoor washers and Loctite instead of the 4 lock plates. Tell me what size rear tire and wheel width does it have? 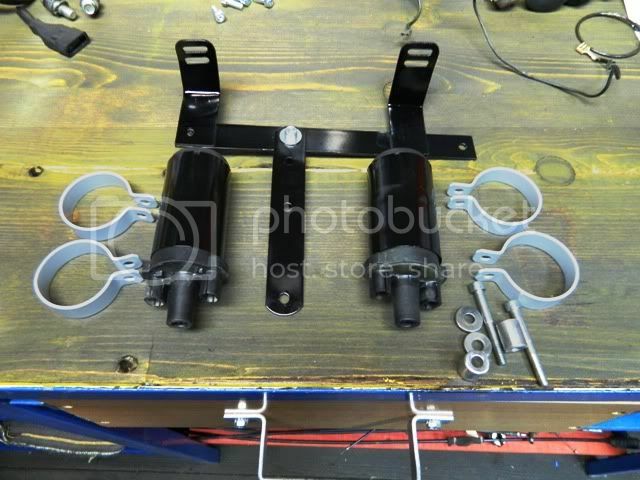 Give a picture of the rear brake assy. Is the swingarm notched so the tire clears it??? Agreed, it's not a LeMans 3 or 4. Didn't want to say anything, but now that it's out in the open.. 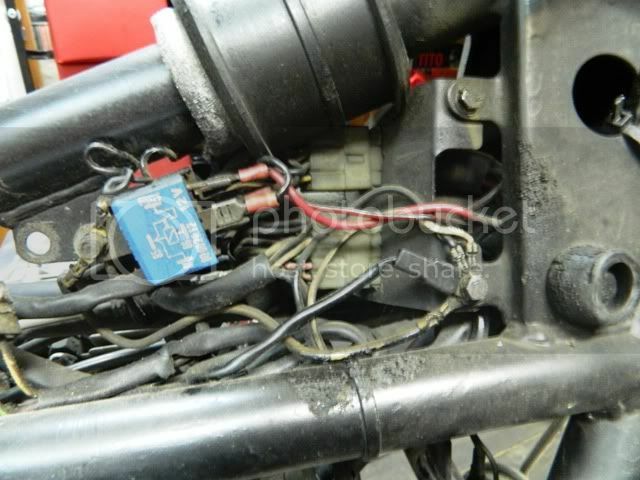 I'm currently rebuilding my LMIV/sidecar, after having the frame repaired (second one I've cracked, ended up repairing frame #1 as it was in better shape than frame #2), and can definitely say that the frame, wiring harness, and rear brake master are not from a LMIV (I have two, an '85 and an '86). However, it looks like a nice bike!